Conte has now brought similar success in the domestic competitions for Chelsea, as his team have managed to 11 straight victories in order to go top of the table with a six-point advantage. Chelsea will be spending Christmas on top of the table, and they have gone on to win the league on each of the four occasions that they have done so. 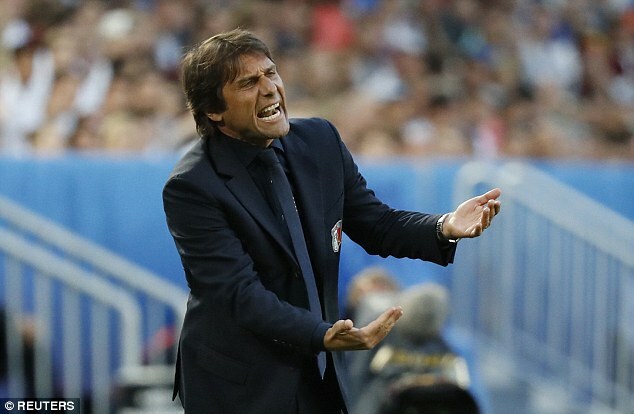 Conte is not the first Italian manager to do well in the domestic competitions, as Carlo Ancelotti won the league and FA Cup in his first season at the club.Giggs and Conte came up against each other in the 1999 semifinals of the Champions League. United managed to win the tie and ended up winning the competition itself. “Back then, I could tell that Conte was a leader, and a very accomplished player.He was made captain when GianlucaVialli left for Chelsea in the summer of 1996.Conte got from box to box and he scored goals.That first night in Turin, he and Deschamps took the ball off me more times than I care to remember.I see something of that great Juventus side in his current Chelsea team,” said Giggs about Chelsea boss Antonio Conte.